December is always a magical time in Washington DC so we thought we would compile a list of activities and events that you and your family can enjoy around the holiday season. 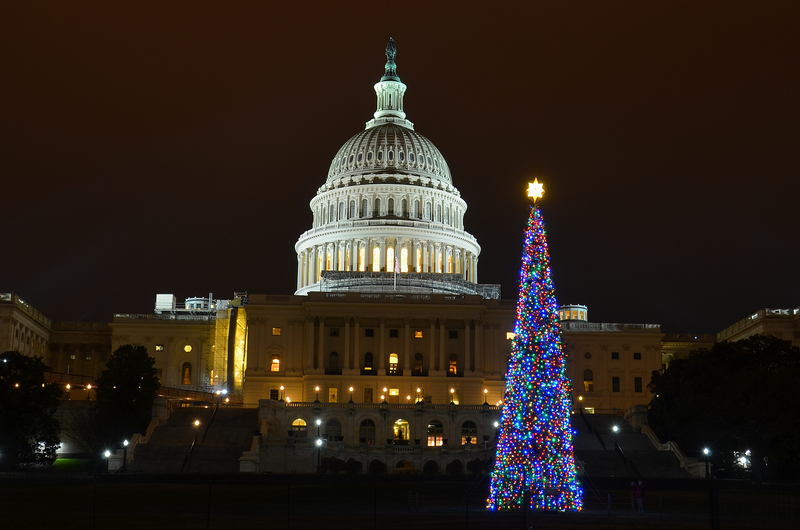 Christmas Lights – A great holiday tradition are Christmas lights and there is no shortage of them in DC. The best light displays in the city are at the National Zoo, Georgetown, Meadowlark Botanical Gardens and at the Washington DC Temple. Some have free tickets and some have modest entry fees so be aware of this before you go. Some of the light displays at these locations are stunning and a real treat for the family so check them out! DC Christmas Tree Shopping – There is nothing better at Christmas than picking out a real tree to take home and decorate. Finding the best place to get your tree can be tricky but luckily we are here to help! Hardware stores are usually a good place to start and Logan Hardware at 1734 14th Street is a great place to start and they have a huge variety to choose from. Lowes and Home Depot also stock Christmas trees but farmers markets can also be a viable choice as well. Check out this map for more info on where you can find your perfect tree. The Holiday Train Exhibit – This one is free and tonnes of fun for the kids. It is taking place at the Botanic Gardens and there is a variety of vegetation as well as a fantastic model train display. This takes places through January 2nd and is not to be missed! It is open 10am-5pm on select Tuesday and Thursday evenings so check out the website for more info. Christmas at CityCenter – This is one of the city’s newest retail outlets and it has gone all out, with an incredible 75-foot tree which has been decorated with over 150,000 lights and 4500 decorations! There will also be ice sculptures from noon-5pm on Saturday, December 10th. Definitely worth a look in. Outdoor Ice Skating – This is a tonne of fun and great exercise! Ice skating is loved by many and there are plenty of locations throughout DC that offer outdoor ice rinks. Check out Canal Park and Pentagon Row and times and prices vary so check out their respective websites for the finer details. Downtown Holiday Market – If you are looking for some unique gift ideas then you will find no better place than the 12th annual Downtown Holiday Market. You will find this on 8th and F streets NW and there are so many interesting and unique products on offer. You will find anything from paintings to clothes and accessories. There are seasonal foods, antiques and much more! Water-Skiing Santa – Santa doesn’t need a sled when he owns a boat! This will take place on Christmas Eve at 1pm along the Old Town Alexandria waterfront on the Potomac. You won’t want to miss this one folks so check the event website for all the essential details! If you want to know all about what’s going on in the city then get in touch!